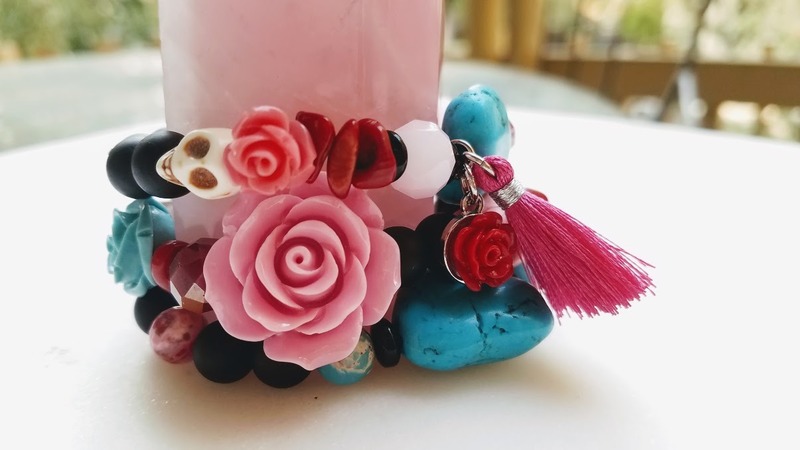 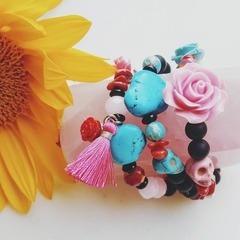 Charming and chunky, 3-piece stack abundant in flowers, sugar skulls, crosses, and magical colorful beads. 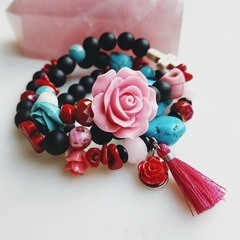 handmade with both natural materials and resins. Includes ocean jasper, czech glass, cultured black sea glass, and colored howlite "turquoise"
One size fits most 7.25"